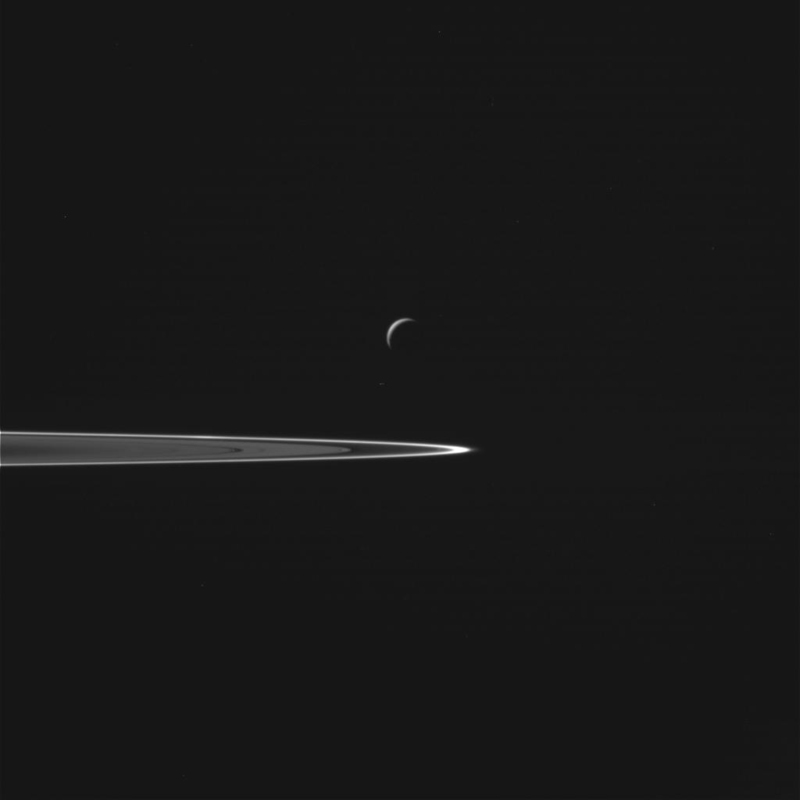 October 30, 2015 – NASA’s Cassini spacecraft has begun transmitting its latest images of Saturn’s icy, geologically active moon Enceladus, acquired during the dramatic October 28 flyby in which the probe passed about 30 miles (49 kilometers) above the moon’s south polar region. The spacecraft will continue transmitting its data from the encounter for the next several days. Researchers will soon begin studying data from Cassini’s gas analyzer and dust detector instruments, which directly sampled the moon’s plume of gas and dust-sized icy particles during the flyby. Those analyses are likely to take several weeks, but should provide important insights about the composition of the global ocean beneath Enceladus’ surface and any hydrothermal activity occurring on the ocean floor. 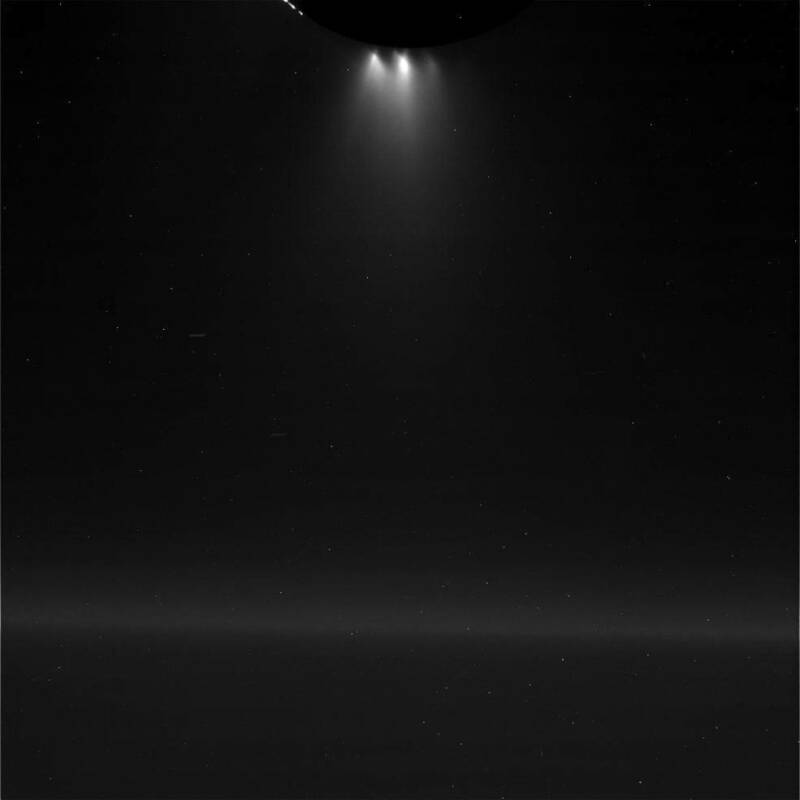 The potential for such activity in this small ocean world has made Enceladus a prime target for future exploration in search of habitable environments in the solar system beyond Earth. 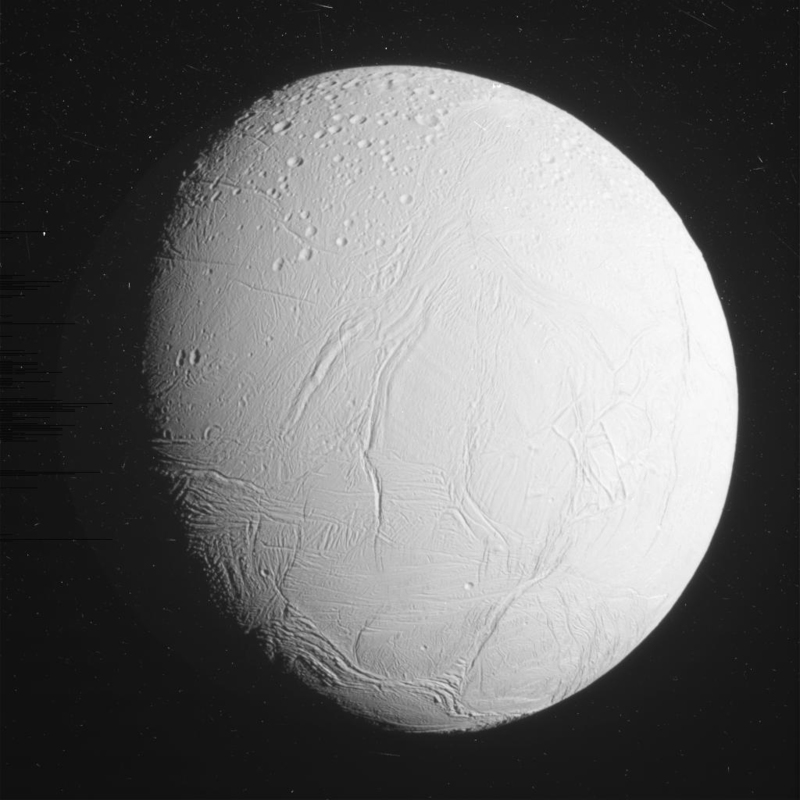 Cassini’s next and final close Enceladus flyby will take place on December 19, when the spacecraft will measure the amount of heat coming from the moon’s interior. The flyby will be at an altitude of 3,106 miles (4,999 kilometers).